The aim of this atlas is to provide examples of the relationship between three-dimensional structure and a potential-field response. We have used the Noddy modelling system, which was developed as a result of an AGCRC/AMIRA/ARC project. This allowed us to create a variety of structural models which allow interpretive skills to be developed, through the specific comparison of structures and their responses. These models also provide a starting point for the interpretation of actual survey results. All of the history files used to create these models are provided in digital form, so that in combination with the Noddy software, variations to the models can be easily examined. In addition this addition of the atlas contains wavelet transforms of the data so that the interpretive skills needed for this new visualisation technique can be learned. In order to reduce printing problems, a PDF version of this Atlas is also available, and a PDF version with embedded links also exists. This Table of Contents lists each page in text form, the Image Index (much slower to load) contains one example image from each page, and the Help page describes the meaning of each element in a page, and how to configure your browser to load the various file types. The atlas contains a complete set of images models calculated for both Southern and Northern Hemispheres, and each set can be accessed separately from the home page of the Atlas. This special volume is unique and can not be displayed like our standard content. 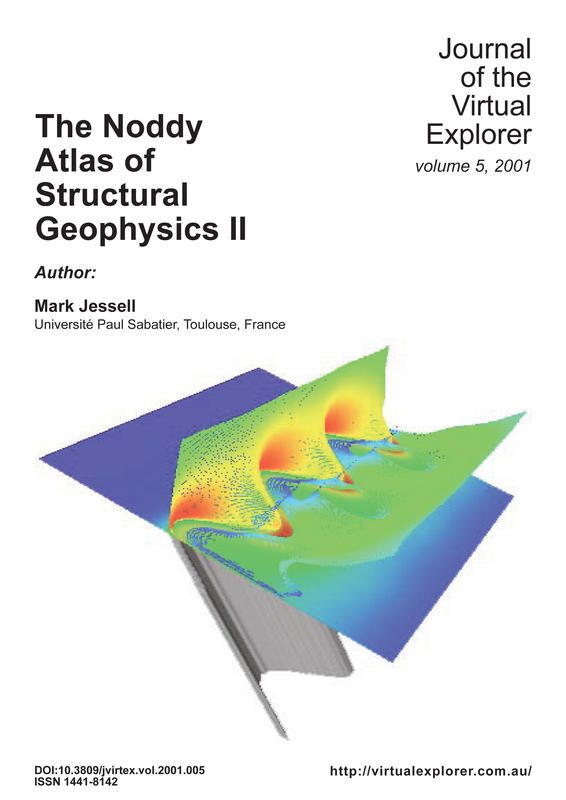 View The Noddy Atlas of Structural Geophysics II in its original format.